Mobile banking apps have made it fast and simple to access and manage your account remotely. The days of needing to actually go into the bank to transfer and deposit money are long gone. Now, you can control practically every aspect of your account online. As convenient as it is to have 24/7 access to our bank accounts, the question is, just how secure are they? Here, we’ll look at how secure mobile banking apps really are. 1 Is mobile banking safer than online banking? 2 Should you use anti-virus software? Is mobile banking safer than online banking? Compared to standard online banking, mobile banking is considered slightly safer. This is because there are far fewer nasty threats which target mobiles compared to computers. That being said, there are still malicious applications found on smartphones that you need to be careful of. Banks generally invest in extensive security for their applications. However, what you need to be careful of is fake banking apps. Many applications you come across are actually created by hackers trying to get hold of your financial information. So, before downloading a mobile banking app, you should always make sure it’s 100% genuine. Should you use anti-virus software? Anti-virus software is available for smartphones and it is recommended you invest in one if you carry out mobile banking. This will help to prevent phishing attacks and stop any nasty programs being able to capture your information. Android phones do tend to be at a larger risk than Apple phones so if you are using an Android device, anti-virus software can be a great idea. You may even find your bank offers anti-virus software. So, start by looking at the security offered by your banking app before searching for independent anti-virus solutions. 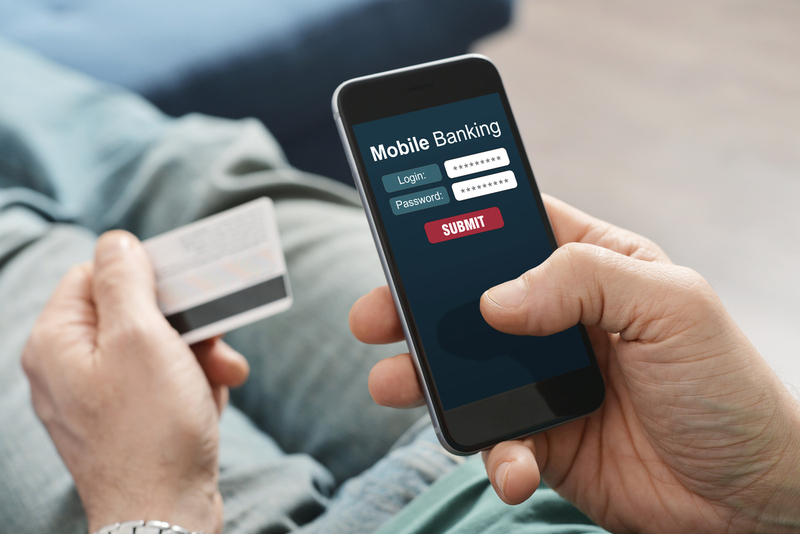 Although mobile banking apps are typically very secure, there are some ways you can enhance your security. Firstly, you should start by checking that you’re using a secure, reliable bank such as Think Money. The more reliable the provider, the more secure you know the banking app is going to be. Then, once you have a secure app in place, make sure it is protected by a passcode. You should also set up a passcode to actually access your phone for additional protection. A phone-tracking app can also give you the power to delete your personal data if the phone gets lost or stolen. You’ll want to also ensure your app and security software are updated frequently. Overall, mobile banking apps are generally very secure. However, you do need to be aware of potentially fake apps out there. It’s also a good idea to make sure you are protecting your phone with passcodes and anti-virus software for additional security measures.